Upgrading your cell phone? Thousands of new cell phones are purchased every day and lots of folks will be upgrading to the latest for the holidays. If that includes you, what are your plans for your old cell phone? Why not help the planet and animals at the same time? Gift that old one to the Petco Foundation. 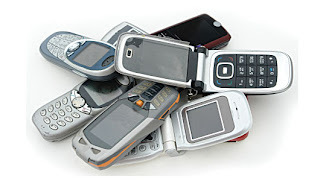 They're collecting and recycling old cell phones to aid in their mission of raising the quality of life for pets and the people who need them. Proceeds from the donated phones help reduce the number of animals euthanized, rescue animals in crisis, provide lifesaving vaccinations for homeless pets, and rehabilitate pets with behavioral issues. It's easy! Simply print a prepaid shipping label at Petco.com/recycle and drop it in the mail. I love this idea and I will share with my pals on Thursday!